Brown or Red insects that are small. They can sometimes be seen jumping or walking though the Hedgehog's fur and spines. -Buy Johnson's Rid Mite™ or a similar product such as a Powder which contains pyrethrums specifically for cage birds. These are available online or from a Pet shop. -Dust the Hedgehog lightly with the product. It would also be a good to dust the Hedgehogs bedding as well. -Never use a Cat or Dog Flea Spray/powder! 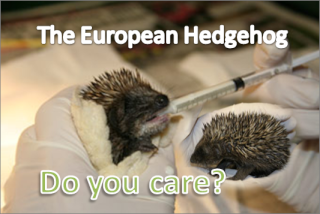 This is poisonous for hedgehogs and will either kill or make them seriously ill! -Hedgehog fleas are nothing like Cat or Dog fleas, and cannot live on any other animal for long.